We are looking for enthusiastic, flexible and highly motivated Radiographer to join our very busy Radiology team here at The Shrewsbury and Telford Hospital NHS Trust at our Telford site, The Princess Royal Hospital. 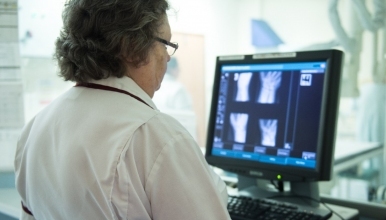 The successful applicant must have a BSc (Hon) Diagnostic Radiography or DCR and have current HCPC registration and it is desirable that they have previous experience in an NHS Hospital. This post would be suitable for an experienced Radiographer who would be provided with the opportunity to develop their skills in our general and CT teams with the possibility of rotation through our Cardiac Cath Lab. The successful applicant would be expected to participate in a busy general rotation including cross-sectional imaging, participation in the on-call rota and 7 day working. All Radiographers with more than 1 year Post Graduate experience contribute to the training and mentorship of undergraduate students and Assistant Practitioners and the department has an excellent on-site teaching environment. The department is fully committed to role extension and has Consultant Radiographers supporting our teams into advanced practice including Ultrasound, Barium Swallows, CT Colonoscopies, CT head and plain film reporting.